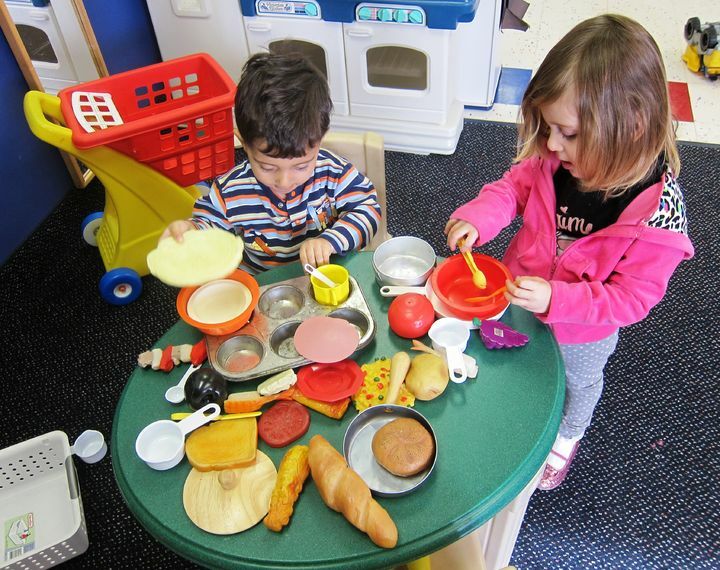 The Early Preschool program offers meaningful, sensory-based activities and learning experiences. Your child's developing independence is nurtured. 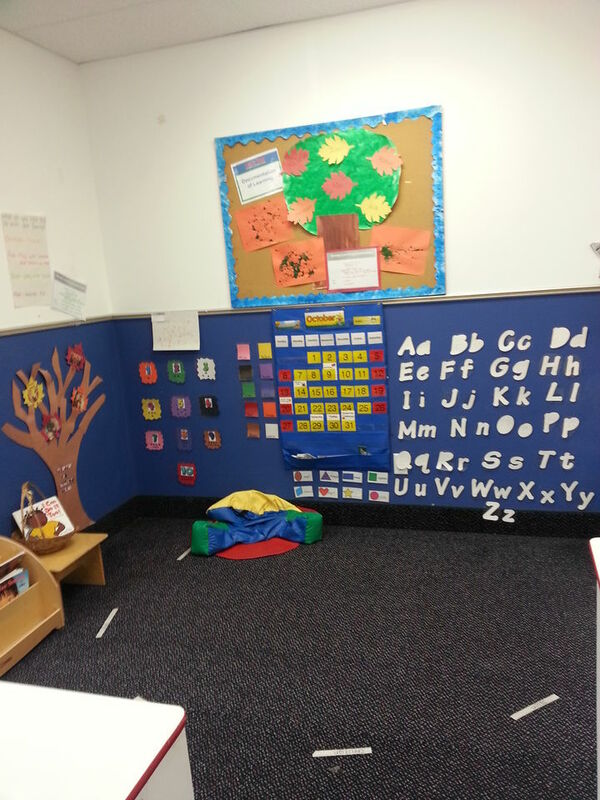 This classroom has a daily routine that includes both individual and small-group experiences. Our exclusive, milestone-focused curriculum, Learn from the Start(TM), is driven by key developmental milestones specific to children preparing to enter preschool. We emphasize your child's development, rather than specific age, because all children grow and learn at their own pace, and in their own unique way. Learning experiences are designed to address the individual needs and abilities of each child, in each classroom. 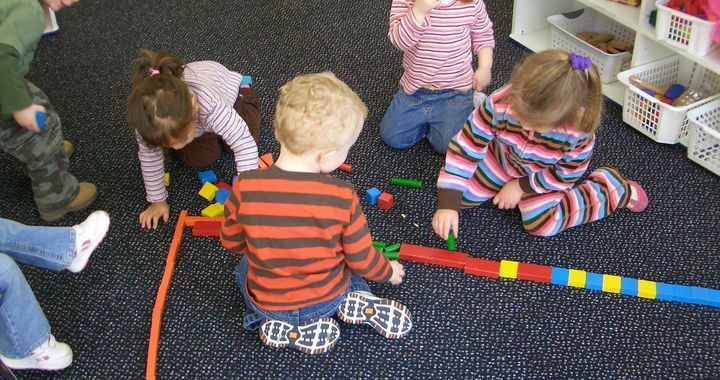 As a Early Preschooler, your child is transitioning from a toddler to a preschool student. Chatting with friends increases verbal and social skills. 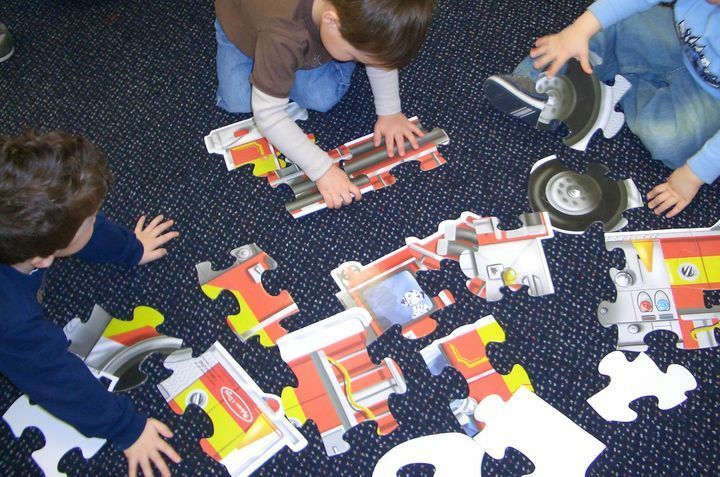 Solving shape puzzles strengthens problem-solving skills, while drawing and painting nurture creativity. Early Preschool teachers work to foster self-esteem during one-on-one journal time and in group activities. As preparation for moving into our exclusive Tutor Time® LifeSmart™ preschool curriculum, we introduce one concept at a time, so your child feels proud, not frustrated. Because this curriculum recognizes that there are many different ways to be smart, your child will learn to love learning. And that means your Early Preschooler will really be prepared. 8:40 a.m. — One final chant with two last claps and Morning Circle Time is through. 9:20 a.m. — Clothespins, sequins, buttons and flannel make a gorgeous glued together masterpiece. 9:40 a.m. — Your daughter enjoys a delicious snack after finishing her creation. Time to refuel. 10:30 a.m. — Your daughter pretends to swing a baseball bat. She is showing the class what she likes to do with her friends. 11:10 a.m. — On the playground, your daughter swings a real baseball bat before she races around the bases. 12:15 p.m. — Crunch — Your daughter enjoys lots of fresh veggies during lunch. 2:35 p.m. — After a refreshing nap, your daughter sits down with the teacher to listen to a story. 2:50 p.m. — One, two, three . . . cups at a table. Helping at snack time is your daughter’s classroom chore this week. 3:15 p.m. — A sandbox scavenger hunt! The class uncovers items the teacher “lost” in the sand. 3:25 p.m. — While holding a cardboard square, your daughter looks for objects with a similar shape. 4:20 p.m. — During Learning From Our World Time, your daughter investigates the properties of rocks and dirt using a magnifying glass. 4:55 p.m. — It’s time for “Follow the Leader” and your daughter is in the lead! 5:30 p.m. — Your daughter returns to cut, color and glue one more masterpiece. 6:25 p.m. — One more ribbon and her masterpiece is complete. She holds it up as you walk into the room. Perfect timing!